Post Spawn Kenai River Hog! Jerry Herrod, of Mountain View Sports in Anchorage, shows off a huge specimen of a Kenai River rainbow trout landed in early summer. 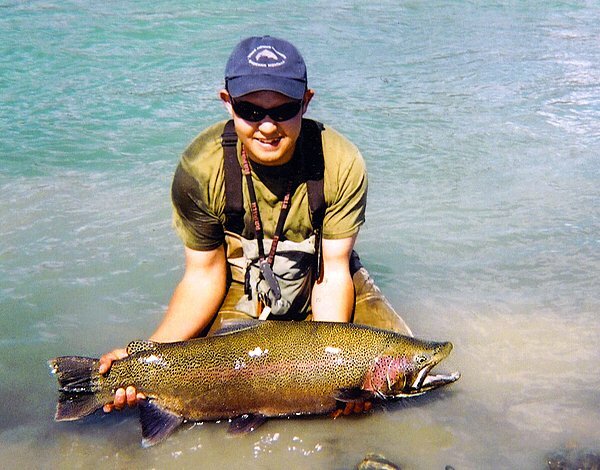 The fish was 36 inches long and one of the largest the Kenai has produced in a long while.